Larry, the Quaker Oats icon, is growing a mustache for Movember. Movember continues to take the world by storm with mustachioed men raising money in droves for men’s health concerns. 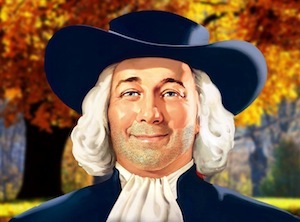 This year, even the Quaker Oats icon, Larry, is growing a mustache in support of the cause. Quaker will donate $25,000 to Movember and has set up a pledge page where fans can raise additional dollars. Larry’s growing mustache can only be seen on Facebook. One great thing about Movember, and probably a reason the movement has spread far and wide, is that there are seemingly endless ways to participate. Quaker’s social-media-based campaign with a small brand donation is one way. Movember’s light-hearted take on a serious issue allows virtually anyone to participate, including brands large and small.